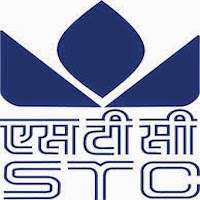 Online Application Details for State Trading Corporation of India Limited STC Recruitment of 2 Chief General Manager and 3 General Manager is given below. Application form and duly attested documents are to be sent to Post Box No. C DEL 231330, The Times of India, Bahadur Shah Zafar Marg, New Delhi – 110103 or Email to careers@stclimited.co.in. In envelope super scribed with 'Application for the Post of Post Name'.